Ajay Devgn’s Baadshaho has performed fairly well at the domestic box office on Friday, collecting Rs 12.03 crore on Day 1. The film opened well at mass-centres, but slowed down as the day progressed. Multiplex business, as expected, was below-the-mark. A section of the trade was expecting a bigger start, but that was never going to happen without the support of the multiplex audience in cities. Even in Tier-2 cities the opening wasn’t upto the level where action film should ideally be on Day 1. However, the start gives the film a chance, but a strong trend over the weekend (Saturday is a holiday for Bakrid) and a good hold on Monday will be crucial if the film has to recover its costs. 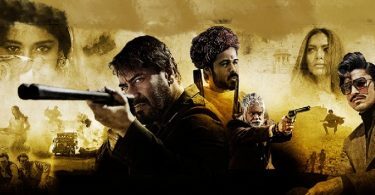 There isn’t much competition from big films in the coming weeks, but ‘Baadshaho’ can only take advantage of the open weeks if it can perform well in Week 1. The other release this week was ‘Shubh Mangal Saavdhan’, which has collected Rs 2.7 crore on its first day. The film has taken a better start than Ayushmann’s ‘Bareilly Ki Barfi’ (smaller release) and the multiplex business did show an upward trend evening onwards on Friday. The reports are not as positive as ‘Bareilly Ki Barfi’, so the difference in growth on Saturday could give us a clearer picture on where ‘Shubh Mangal Saavdhan’ is heading. Friend’s mom- Ajay isko apna hi ghar samjho. A 3rd class joke on which I would not even waste my spit. Good to see Ajay Devgan is raising the bar in Indian cinema. He is only actor who takes huge risk but wins the box office battles and giving us blockbuster after blockbuster. Why our critics can’t rate a movie based on it’s genere. And our mindless critics are always bashing our cinema. I dare them to make a movie themselvesand then we will see what happens. For example:- NDTV said “TEPK is a propaganda movie and you should stay away from it” likeWTF MAN!! Lol.. didn’t i said STORYLINE? I know that’s one of the greatest action movies ever, and I am comparing critics not the movies. God! what’s the matter with you muscleheads ? It was an opinion not a d*** take it easy. why are you encouraging manipulations like roshans do and now these , krrish3 and kaabil surpassed all limits of fake collections and you dont stop them sad….. Opening is decent.but Same genre film Raees opened well in both mass circuits and multiplexes against a big film kaabil. Dear Indicine, Please speak about Toilet-epk collection. The theatrical run for this is going to an end…but you didn’t wrote any update since it’s 8th day..Why? 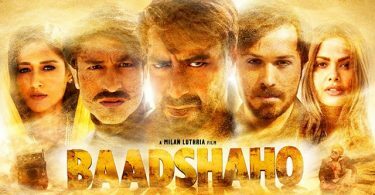 Looking at all the factors the opening of Baadshaho is good . It will show positive growth in the next two days . Monday will be extremely important as most of the films have dropped badly on the 4th day in recent times such as Tubelight, Jagga Jasoos, Munna Michael and JHMS . SMS has done fairly well . The reviews are positive and people are liking the film . Ideally it should hold on to this level on Monday . I hope both these films will emerge successful . So this is where we are, a commercial film with Multistarrer+Hit music with 1 chartbuster+Hit Actor-Director Combo+ Popular actress+ Sunny Leone’s item song+ Late night shows advantage due to holiday. But still opened lower that Akki’s WOM films. And some ppl try to showcase Ajay as a bigger star than Akki. Sorry @sunny but I think everyone on @Indicine (including many honest Akkians) know that u r the dumbest Akki fan ever. Making the most non-sensical comments. Still remember ur shameful comments on SS Rajamouli. Now u even start fighting wid u r own fanbase? Who are the ppl comparing Akshay and Ajay??? On which planet are u living in? WOM films are those that get slow start on Friday, unlike commercial films, I don’t remember saying +ve WOM movies anywhere so I don’t know what’s the point of ur comment. But haters says SRK is biggest manipulator.look which film have higher difference between collections. haha and ice on the cake is that Indicine is not ready to accept producers figures of Raees/Tubelight coz of difference of few lacs by their analysis but but they’re ready to accept producers fig where manipulation is more than 1cr….